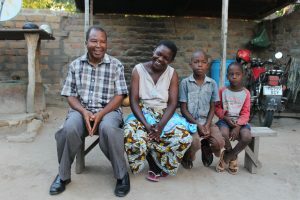 This year, the Bishop of St Albans’ Harvest Appeal, ‘Lighting Up Tanzania’, will see around 2,500 family households improved by the installation of a solar panel providing them with electricity. Solar panels are cheap to run, create clean, renewable energy, and have zero emissions! 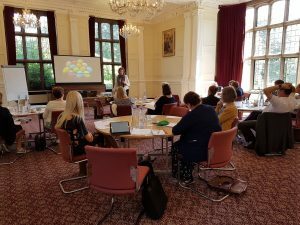 On 21st June 2018, the Schools Team held their annual Senior Leaders’ Conference. It was a fantastic day, with Mary Myatt speaking on the theme of ‘educating for hope’. Caroline Sledge the Headteacher Designate of Meppershall Academy, has written about her experience of the day. The Cross and death of Jesus is not easy to explore with young children, but what is Easter without it? 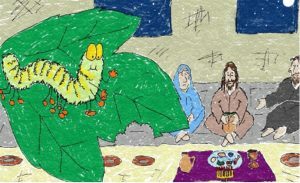 This useful resource makes the Easter story accessible to young children. 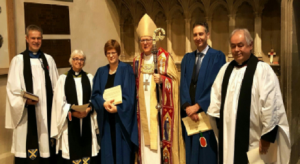 On September 11 October, people from across the Diocese gathered to celebrate the installation of Revd Ruth Pyke, Revd Stephen Liley, Revd Michael Trodden, Susan Pope and David Morton as Honorary Canons of St Albans Cathedral. Welcome to the New School News Webpage! The Schools Team is happy to present its newly redesigned Schools News webpage. We will be updating these pages constantly and hope you will enjoy reading them. Do send us your stories, we would love to hear them. 2017 brings a wonderful opportunity to think globally as we celebrate the 500th anniversary of the reformation. Schools 500 Reformation is the concept that has been developed to facilitate this coming together of a global network and it offers the chance to link electronically with schools throughout the world. For more information please click here.